› Imagine Dragons › New Summer Dates Announced For Imagine Dragon's "Evolve Tour"
Imagine Dragons announced today that they have added summer dates for their ongoing “Evolve Tour,” and that special guest, “America’s Got Talent” winner Grace VanderWaal, is coming along for the ride. The singer/songwriter who plays the ukulele and released her first album late last year will join Imagine Dragons for the North American portion of their summer tour. Like any teenager, VanderWaal is justifiably excited. “I can’t even believe what I am about to say … I’M OPENING FOR @IMAGINEDRAGONS ON TOUR THIS SUMMER!! !” she posted on @GraceVanderWaal Wednesday. The band will play 38 dates between June 5 and Aug. 10 with a single additional show on Oct. 20 at Toyota Stadium in Dallas. VanderWaal will play all but three shows, including the Dallas date. The tour begins in Hartford and features single dates from Bangor, Maine (June 8) to Concord, Calif. (July 24). Among the tour stops are Boston, New York, St. Louis, Kansas City, Los Angeles and New Orleans. The venues are a mix of large and small. Many of the venues are outdoor amphitheaters. Imagine Dragons, a Las Vegas-based rock band founded in 2008, has toured only twice in the past -- the “Night Visions Tour” (2010-14) and the “Smoke + Mirrors Tour” (2015-16). The “Evolve Tour” began last September in Phoenix and has wound its way across North America, Asia and Europe so far. Before the second North American leg, the band will play across South America, Europe (again) and Australia and New Zealand. 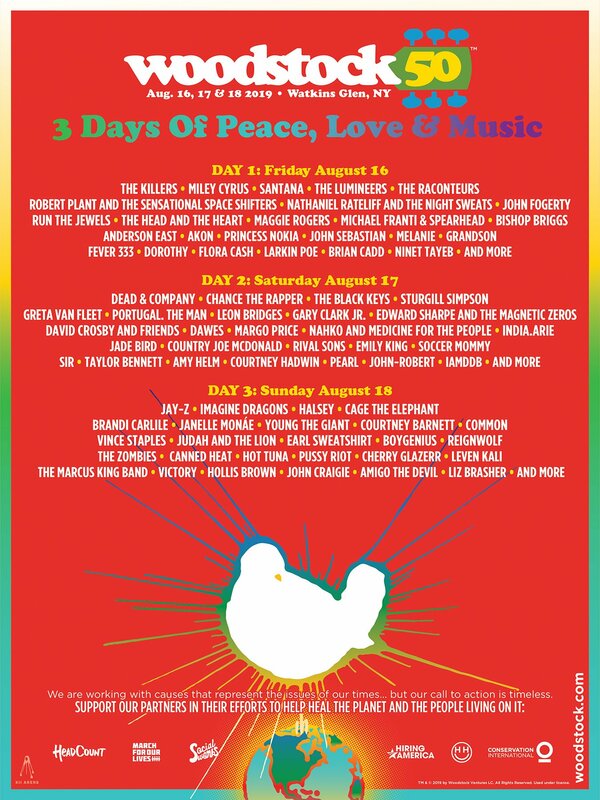 The band will pop back over to Europe for five shows in late August. So far, the current tour has been the most expensive in the band’s history. According to TicketIQ.com, fans have paid an average of $170.26 on the secondary market (not including the new dates). 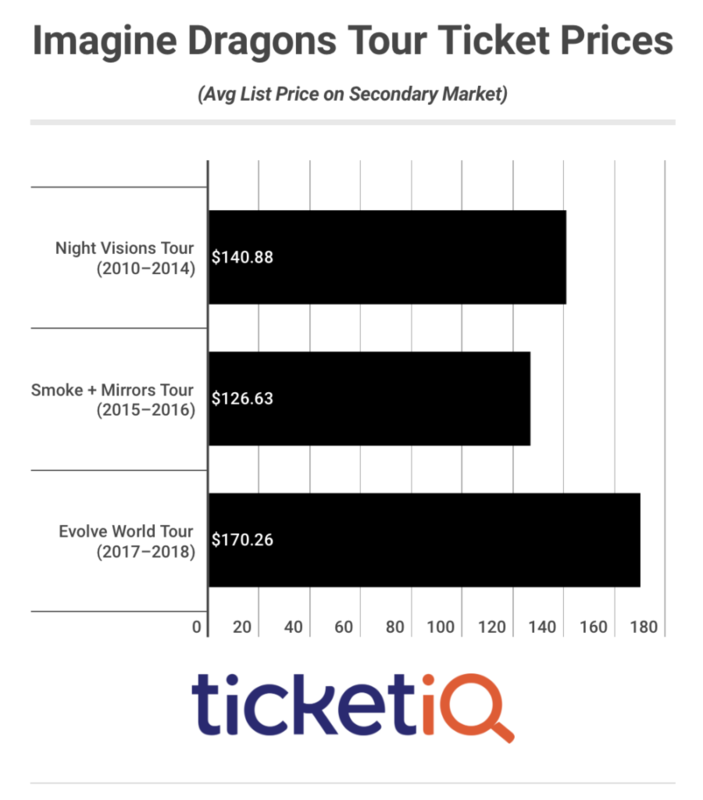 The next most expensive show was the “Night Visions Tour,” which checked in at $140.88, followed by the “Smoke + Mirrors Tour,” which cost an average of $128.63. Tickets for the latest leg of the tour will go on sale March 3rd via LiveNation.com.